Maximize your printer's performance and deliver high-quality documents and photo prints with bright, accurate colors using Canon-engineered printer ink. Enroll to have your ink automatically shipped to your door, when you need it. Need to print term papers, concert tickets, or fun family photos and have them all look great? The Canon PIXMA TS6020 Wireless Inkjet All-In-One Printer is up to the task. Need a versatile printer that will fit into a tight space? This one fits the bill. Want the convenience of printing from just about any device from just about anywhere? No problem, because the PIXMA TS6020 printer can connect to all your devices through Wi-Fi1, AirPrint2, Google Cloud Print3, USB and even directly from the Cloud. 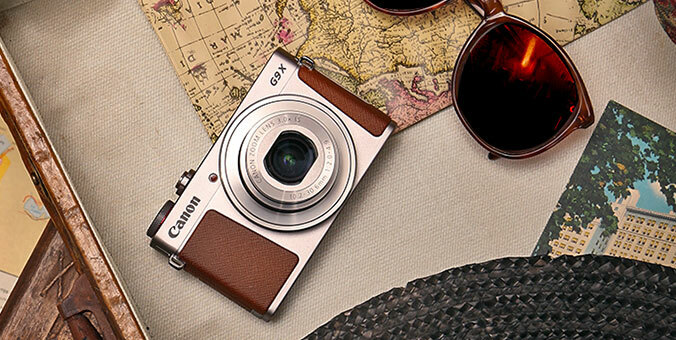 Plus, there's no question about quality because it uses a five-ink system to print detailed photos and documents, sports fast output speeds, and even prints beautiful borderless7 photos. For compact, quality printing at home, choose the Canon PIXMA TS6020 Wireless Inkjet All-In-One Printer. Available in black, white and gray design options. Inspire your creativity and print beautiful photographs and documents with the Five Individual Ink System. Effortless control with the 3.0" LCD Touch Screen & Enhanced User Interface. With the Canon PRINT app6 conveniently print from your favorite mobile devices. Enjoy the simplicity of connecting your smartphone, tablet and all your favorite devices with ease. Print hassle free - whether from the cloud4, on social media6 or on the go. Never wait for your prints with Fast Print Speeds12 up to 15.0 ipm black pages and 10.0 ipm on color pages. Print beautiful Borderless Photos5 effortlessly. With Auto Power On/Off the PIXMA TS6020 is ready to print whenever you are. Print and Scan from any room in the house with seamless Wi-Fi Support1. The PIXMA TS6020 home photo printer is the All-In-One that fits perfectly anywhere in the home, is simple to use, and delivers outstanding quality results every time. specifications are subject to change without notice. all viewscreen and output images are simulated. Wireless printing and scanning requires a working network with wireless 802.11b/g or n capability. Wireless performance may vary based on terrain and distance between the printer and wireless network clients. Requires an Android™ mobile device with NFC hardware running Android™ 2.3.3 or later, and the Canon PRINT Inkjet/SELPHY app, available of free at Google Play. Canon PRINT Inkjet/SELPHY app must be open to use PIXMA Touch & Print. Compatible memory cards include SDTM Card, SDHCTM Card. The following can be used with the addition of a special adapter sold separately: miniSDTM Card, miniSDHCTM Card, microSDTM Card, microSDHCTM Card. Requires an Internet connection and the Canon PRINT Inkjet/SELPHY app, available for free on the App Store and at Google Play. Compatible with iPad, iPhone 3GS or later, and iPod touch 3rd generation or later devices running iOS 7.0 or later, and Android™ mobile devices running Android™ 2.3.3 or later. Your device must be connected to the same working network with wireless 802.11 b/g/n capability as your printer. Requires an compatible social media account and is subject to that social media account's Terms of Service. Certain exceptions may apply. Paper types NOT supported for borderless printing are as follows: Envelope, High Resolution Paper, T-Shirt Transfer, Photo Stickers. Requires Android mobile device with Android 4.4 operating system or later with the Mopria Print Service pre-loaded with that device and the compatible PIXMA printer on the same wireless network. The Mopria experience is also available on Android 4.4 mobile devices with a download of the Mopria Print Service from Google Play. Document print speeds are the averages of ESAT in Office Category Test for the default simplex mode, ISO/IEC 24734.Photo print speed is based on the default setting using ISO/JIS-SCID N2 on Photo Paper Plus Glossy II and does not take into account data processing time on host computer. Print speed may vary depending on system configuration, interface, software, document complexity, print mode, page coverage, type of paper used etc. Copy speeds are the average of sFCOT and sESAT, ISO/IEC 29183.Copy speed may vary depending on document complexity, copy mode, page coverage, type of paper used etc. and does not take into account warming up time. See www.usa.canon.com/ipm for additional details. Resolution may vary based on printer driver setting. Color ink droplets can be placed with a horizontal pitch of 1/9600 inch at minimum. For network users, Auto Scan Mode is only available when scanning at a computer using My Image Garden software and selecting the 1-click feature then "Save to PC." Based on accelerated testing by Canon in dark storage under controlled temperature, humidity and gas conditions, simulating storage in an album with plastic sleeves. Canon cannot guarantee the longevity of prints; results may vary depending on printed image, drying time, display/storage conditions, and environmental factors. See www.usa.canon.com/chromalife100 for additional details. Operation can only be guaranteed on a PC with pre-installed Windows 10, Windows 8.1, Windows 8, Windows 7 or Vista. Internet Connection required during software installation. For full compatibility macOS v10.12.1 or later is recommended. Some functions may not be available with these Operating Systems. Please refer to manual or our website for details. Requires a Windows RT compatible device and the Canon Easy-PhotoPrint app for Windows RT available for free in the Windows Store. Requires "Canon Print Plug-in" available for free from the Amazon Appstore and an Amazon Fire Phone, Amazon Kindle Fire HD6 or HDX7 device or later running Fire OS 4.0 or later. Product box dimensions measured in vertical box configuration. FREE Photo Paper Plus Glossy II - PP-301 - 4x6 (100 Sheets) - Offer valid April 16, 2019 12:00 a.m. through April 30, 2019 11:59 p.m. ET. Offer valid in U.S.A. only, and void where prohibited, taxed or restricted. Availability of certain items may be limited. Limit of ten of any one item per order, subject to availability. Order will be shipped to a street address in the 50 United States or the District of Columbia only. Dealers, distributors and other resellers are not eligible for this offer. Offer excludes Printer Bundles and PIXMA TS9520, TS9521C, TS8220, and TS6220. Offer subject to Terms of Sale. Versatile Paper Support: A dedicated front paper cassette for plain paper, and an easy to access rear paper tray for photo paper makes this printer ready for whatever you want to throw at it. Five Individual Ink Tank System: Get amazing color in your documents and photos with five individual ink tanks and replace only the color that runs out. Fine Art Paper Support: Don't compromise on image quality, use thicker and textured fine art papers to the get the results you are looking for. 3.0" LCD Touchscreen: A new User Interface makes this printer a delight to work with, and the 3.0" Touch LCD lets you see and touch everything with ease. My Image Garden: My Image Garden software lets you access, organize and personalize your favorite photos. My Image Garden: Software which lets you access, organize and personalize your favorite photos. Output Tray Capacity Rear Paper Tray: 100 Sheets of Plain Paper OR Photo Paper: 20 Sheets of 4" x 6" / 10 Sheets of 5" x 7"
Max. Document Size 8.5" x 11.7"